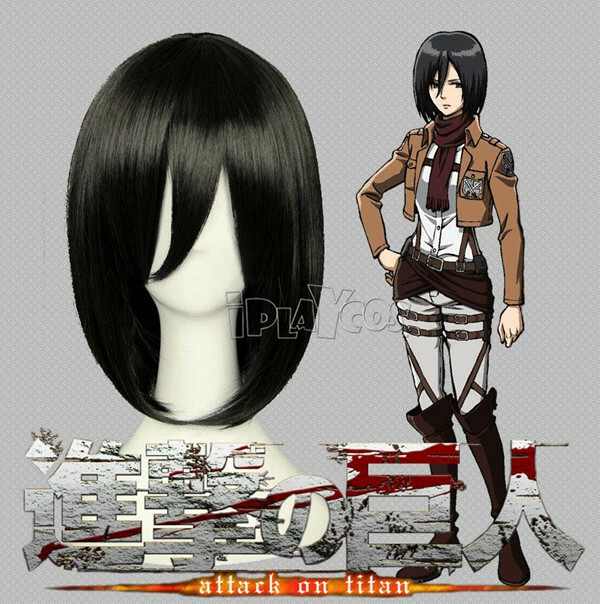 Mikasa Ackerman (ミカサ・アッカーマン Mikasa Akkāman?) is the female protagonist of the series and the adopted sister of Eren. After graduating as the top of her batch, she later joins Scouting Legion with Eren and Armin. Mikasa is considerably more withdrawn after the murder of her parents; however, she still loves and cares deeply for her friends, especially Eren and Armin, seeing them as the last remnants of a family she cannot afford to lose. Her personality as an adult is very much influenced and molded by Eren when they killed robbers who killed Mikasa's family when they were children, with Eren telling her that the world is a cruel place and she has to fight to survive - words that stayed with her till this very day and became the very drive that drove her to train herself to be one of the best soldiers ever seen. Mikasa has a strong sense of right and wrong, but she is also very protective of Eren and does all she can to advise him to follow what she deems to be the right track. Despite that, she knows well that she cannot always sway Eren in his decisions, as such she made it a point to follow Eren to almost everywhere he goes and stick by whatever final decisions he makes, just so that she can be around to help him out when he is in trouble. She takes Eren's opinion so seriously that when he once said that her hair was too long, she immediately had it cut, even though Jean had just commented that it looked beautiful. Yet, for all her blind loyalty, Mikasa is also very level-headed. Her will is remarkably strong as she is seen to not lose her cool and being at a lost of what to do no matter how bleak the situations she is in seem to be, shown when even though it was believed that Eren was dead, she concentrated on keeping everyone else alive and not giving in to grief as many of her comrades are doing. Owing to her protectiveness of Eren, if he is ever in danger, Mikasa will stop at nothing to keep him safe, to the point of being willing to take on soldiers who try to execute Eren and relentlessly attacking the Female Titan when she captured Eren. It is hinted that she has romantic feelings for Eren.